Good location if you want to be right at the Medina. Breakfast was ok and included. Staff very friendly. Great breakfast. Nice helpful staff. Great location. Perfect location. Much cleaner than Moroccan standards. Very helpful staff. Right in the medina. Really helpful. View from the restaurant, and the cook did an awesome tagine. Position near petit socco. The breakfast. The terrace. The staff. Location. Breakfast is not very rich but it was tasty and on a beautiful roof top w view. Wi-Fi was ok. The food is delicious, the staff is friendly and the location is perfect (in the heart of the old town). I will definitely come back. 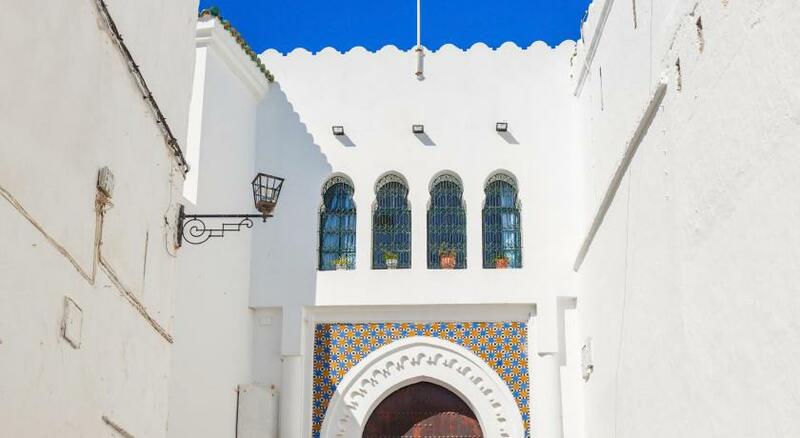 One of our top picks in Tangier.Hotel Mamora Tanger offers accommodation in Tangier. 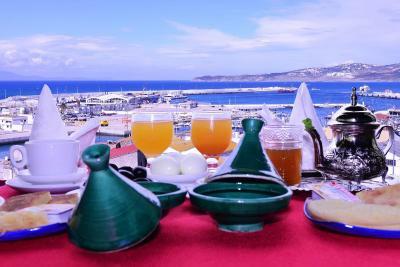 The hotel has a terrace and views of the sea, and guests can enjoy a meal at the restaurant. Every room is equipped with a flat-screen TV with satellite channels. Some units have views of the mountains or garden. Ceuta is 29.2 miles away. 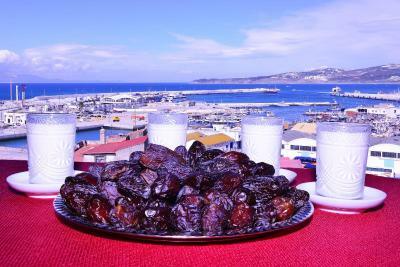 The nearest airport is Ibn Batouta Airport, 7.5 miles from Hotel Mamora Tanger. 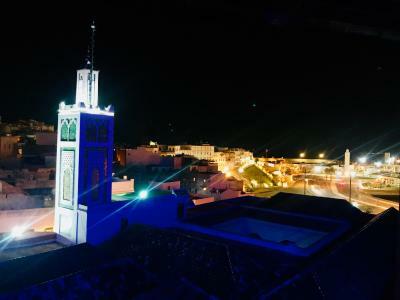 Hotel Mamora Tanger has been welcoming Booking.com guests since 25 May 2015. When would you like to stay at Hotel Mamora Tanger? This double room features a seating area with a sofa and a satellite TV. This triple room features a satellite TV, view and sofa. This quadruple room features a satellite TV. Hotel surroundings – This neighbourhood is a great choice for travellers interested in markets, Old Town exploring and culture – Check location Good location - show map Guests loved walking around the neighbourhood! House rules Hotel Mamora Tanger takes special requests - add in the next step! No WiFi at room the first day. The WiFi fixed the second day. Perfect breakfast and nice room. Very small bathroom. Lovely, modern decor and exceptionally clean. The staff was nice and helpful. Great location in the medina. AC engines are installed right next to the room windows and make noise all night long. Everything was perfect, I would recommend. Breakfast of very poor quality. Powder orange juice in a country where oranges cost around 10 euro cents (3-4 MAD)per kilo. No Moroccan bread, no msemem no baghrir, no meloui, no harcha, just preheated baguette and a dry croissant, no jeben, just industrial cheese in aluminium package. Additional cup of coffee is charged , what a shame for usually great Arab hospitality!